Las Vegas, Nev. – The National Beer Wholesalers Association (NBWA), which represents America’s 3,000 independent beer distributors across the country, is pleased to present the NBWA Brewer Partner Marketing Innovation Award to Titletown Brewing Company of Green Bay, Wisc. 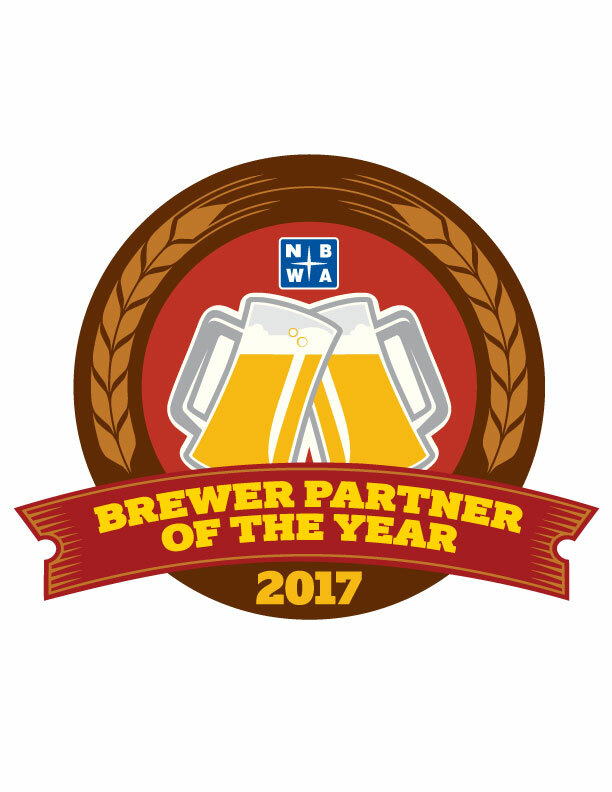 Now in its third year, the Brewer Partner awards recognize brewers for building strong partnerships, providing valuable education and growing their brands through supportive partnerships with beer distributors. Titletown Brewing Co. recently changed to a brewery with statewide capabilities after 20 years as an 1,800 barrel per year brewpub. Since making the conversion two and one-half years ago, it now produces 7,500 barrels per year. Its primary focus was on growing its brand in local markets once it entered distribution. Sponsorships of local farmers’ markets, festivals and tap takeovers resulted in going from zero to more than 30,000 cases of distributed beer in Titletown’s first two years in Green Bay. Bell’s Brewery of Kalamazoo, Mich., was honored as NBWA’s 2017 Brewer Partner of the Year and Catawba Brewing Company of Morganton, N.C., was recognized with the Brewer Partner Sales Execution Award. The awards were announced during NBWA’s 80th Annual Convention and Trade Show at Caesar’s Palace in Las Vegas, Nev.